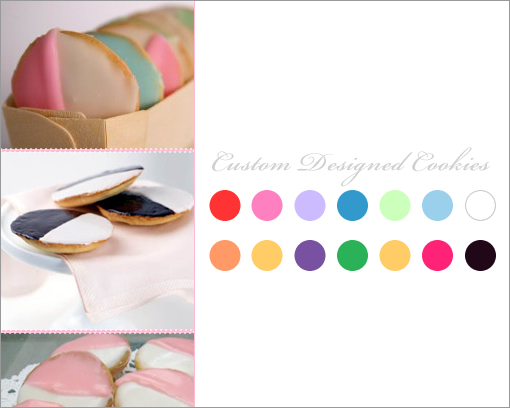 I was having a wonderful look around Wedding Chicks (which is a truly wonderful site for inspiration) when I discovered these cookies by William Greenberg , how perfect are they for Easter treats, Christening, Birthdays or perhaps put on guests pillows at weddings. Shame they are New York, not sure they would stay fresh when airmailed! They look scrumptious. Very colourful and lots of fun.